"Manchester United's return to the top spot is a testament to their powerful brand and marketing acumen." 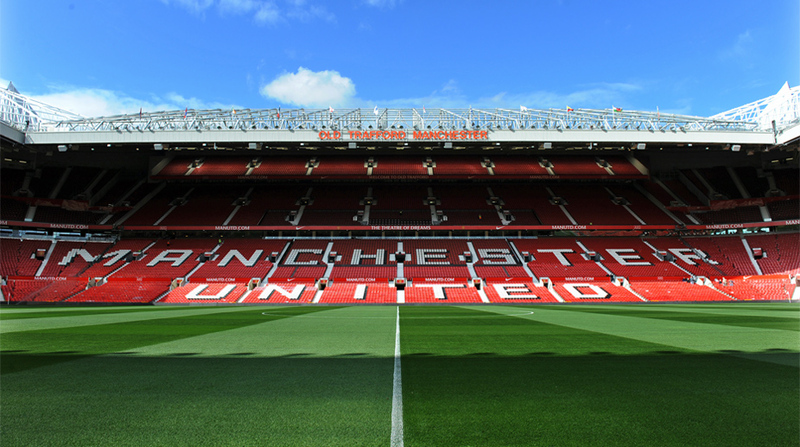 Manchester United have overtaken Real Madrid as the world's most valuable football team, US magazine Forbes announced today in its annual global list ranking the sport's wealthiest clubs. United's enduring brand appeal and aggressive sponsorship strategies had helped the Premier League side reclaim top spot for the first time in five years, with a worth estimated at $3.69 billion (€3.27 billion), Forbes said in its survey. Although Real Madrid have enjoyed unparalleled success in the Champions League — clinching unprecedented back-to- back titles on Saturday for a record 12th crown — United have roared past the Spanish giants in the commercial stakes. According to Forbes, United generated revenues of $765 million during the 2015-2016 season, $77 million more than both Barcelona and Real Madrid. "Manchester United's return to the top spot is a testament to their powerful brand and marketing acumen," Forbes Media assistant managing editor Mike Ozanian said in a statement. The Forbes survey found United to be the most profitable team in the world with an operating income of $288 million, $107 million more than Real. Barcelona were placed at number two on the 2017 rankings, with a value of $3.64 billion while Real — first place for the past four years — had slipped to third with a value of $3.58 billion. The top five was completed by Bundesliga giants Bayern Munich ($2.71 billion) and English Premier League side Manchester City ($2.08 billion). United's ascent to top spot comes despite a relatively fallow period in the club's on-field fortunes. The Red Devils have not won the domestic title since Alex Ferguson retired in 2013 and could only muster a sixth place finish in the Premier League under new manager Jose Mourinho. The club did claim victory in the Europa League however, a win which guaranteed their entry to next season's money-spinning Champions League. Off the field though United's fortunes have soared, fuelled by the Premier League's multi-billion-dollar television deal which makes the English league by far the wealthiest in the world. United's coffers have also swollen due to an array of global commercial tie-ups and a kit deal with Adidas worth a reported 90 $million a year. The financial might of English football is reflected in the fact that six of the top 10 most valuable clubs hail from the Premier League. Arsenal were ranked sixth in the list with a value of 1.93 billion, just ahead of Chelsea ($1.85 billion) and Liverpool ($1.26 billion). Italian giants Juventus — beaten by Real Madrid in last weekend's Champions League final — came in ninth with $1.26 billion. Tottenham rounded out the top 10 with a value of $1.06 billion. French side Paris Saint-Germain were 11th on the list with a value estimated at $841 million.